OK, maybey UGLY would apply to that ASW nightmare.. Weird would work too...! 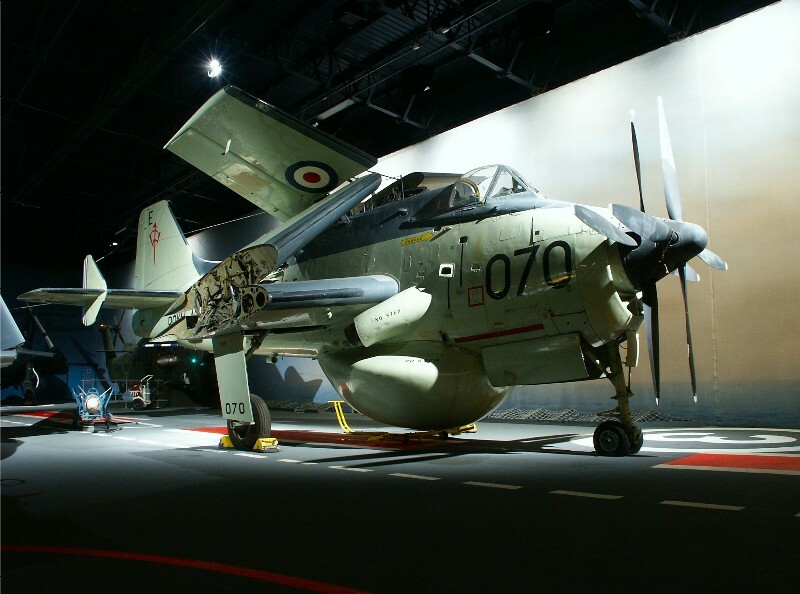 Fairey Gannet. Commonly cited among the top 5 most ugly aircraft of all time. Fits into the 'interesting' side of ugly - it must, there's enough kits of it about! How about a 1/32 scale one chaps? 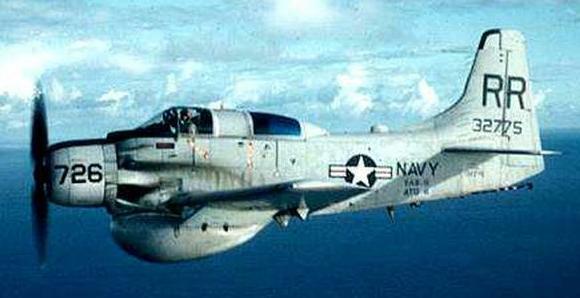 Hey Kev: I have a 1/72 IM kit of the Gannet, but your saying their is a 1/32 kit of this puppy ?? Really..? Must be a "cult" thing..
No thank's...time for another pint..
Well, there were other planes with these goiters attached. But to me there were ungainly, not ugly. It would be fun to attach these to other airplanes, wouldn't it? Can you imagine an Avenger with one? The plane would just roll around on it with none of the landing gear touching the deck. Or, how about NASA's series of Guppies and Super Guppies? Or the boxiest of airplanes, the Shorts Skyvan. Everything rectangular except for the tapered front and rear fuselages. Ah, ...you mean something like this? Now that is more than merely ungainly! Looks like an experimental job to test out the radar unit prior to installation in the Guardian. Or maybe it was an attempt to get a cheap ASW craft using the old Avenger in a new role. Whatever, it does tend to make my lunch come back up. Does anyone out there want to convert the expensive Trumpeter Avenger model into one of these beasts? No 1/32 scale kit that I know of ggc, but it's possible there's an obscure vac kit out there somewhere. The Trumpeter 1/72 kit is apparently quite nice, and I'm sure there's a (relatively) recent 1/48 kit out here too (Classic Airframes?). come to think of it, i might also try this on one of my "non" trump avengers, being a vac issue and the Scratchbuilders one. Now all we have to do is get the plans and dimensions of the tumor that is fitted under the fuselage of the Avenger. Then one of us can carve it and make some hot-draws to get the top and bottom halves of this glump of metal. I have a full sheet of thick styrene, about 1/32", that measures 3' by 6'. so I have lots to experiment with. Maybe I'll do it. It is an easy carve. Do you have any leads on the plans for this part? I have a feeling it is basically the same as the one used on the Guardian and Skyraider. I was wondering what I was going to do with my vac Avenger, now that I have the Trumpeter. I can have some fun with all the other navy planes I have laying around here, like a squadron of Corsairs. I can give the F4-U a goiter. 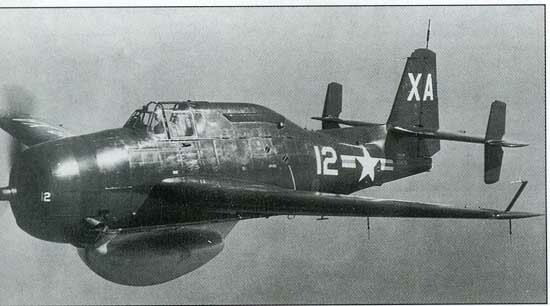 Or make a twin fuselage F4-U (ala the F-82) with the goiter under one fuselage and depth bombs under the other. The Avenger is the Grumman TBM-3W. It is available as a 1/72 resin kit for 24 Euros. I'll scratchbuild my own as soon as I get the plans. I know where there is one set of plans for the Guardian with a goiter. As soon as I get that I'll share it with you. I have a feeling that these goiters might all be made the same, which, if true, would save us lots of time and bother making the variations. It will take me a while to go through all the hundreds of model airplane magazines I have. As I do I will copy the plans and send them onto you. I am sure that there are plans in the flying model & radio control magazines I have. That was a popular bird to model back in the '50's-'60's for the U-Control Carrier event. Are you planning on doing the P2V-3W with the APS-20 search radar or the later P2H which had an entirely different shaped bulb for the radar? have fun "digging" out the plans..
BTW, this strikes me as being a very beautifull aircraft.....but then again beauty is in the eye of the beholder....! !